Every salsa needs chips! 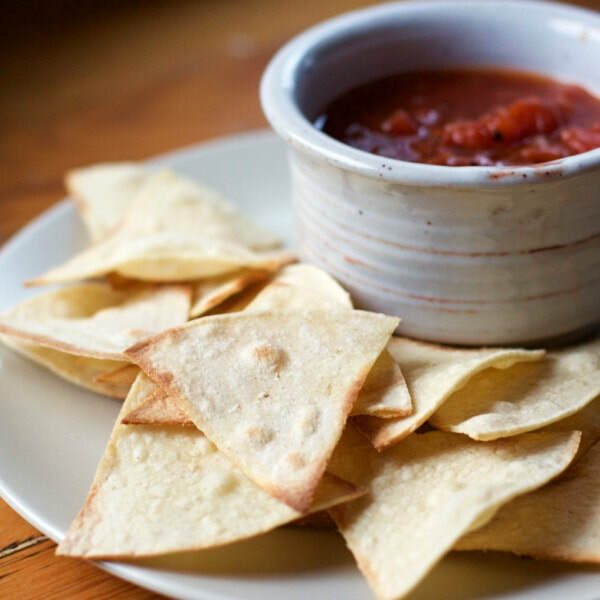 These baked tortilla chips are a healthier version of the ones you'd already buy in the store. How about some guac to go with them as well? Place cut tortillas on a baking sheet, spray with cooking spray, and sprinkle with a pinch of salt. Bake tortillas for about 4 minutes in oven, flip, and continue baking for another 2 minutes until crispy.